Title says it all. Interesting article in the times about the health costs of air pollution in China. Title says it all. Interesting pictures of the air pollution in Beijing. Those pictures are nuts. 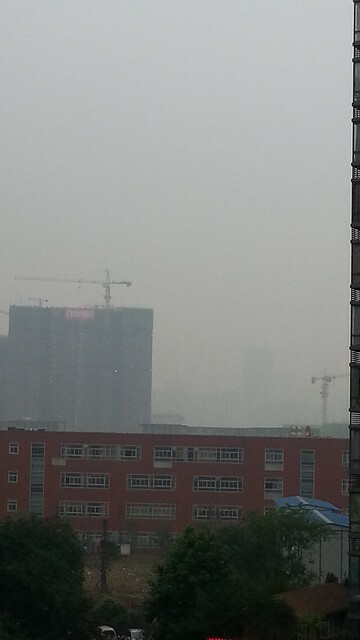 Hard to tell if the pollution is 10x worse in Beijing or if its just depicted 10x worse with these photos. Last Sunday I saw part of a discussio, the hour devoted to issues in Ais, on CNN (yeah I know, GROAN) with Krisie Lou Stout, a woman from Hong Kong, a guy from an environmental group in China and an American woman from an environmental group. The topic was air pollution. During the part of the show I saw, they focused on Beijing as the city (as if it was mainly Beijing) with the problem, and seemed to dance around what exactly to do about the problem other than ‘study’ it. The Hong Kong person said that they had made big strides there by actually linking the pollution data with the health effects data. Hm. I know they have to be careful what they say publicly in order to continue to be able to do anything, but this seemed pretty much like the tobacco industry doing longterm studies on the potentially negative effects of cigarette smoke. I think they’re still ongoing… And I still have a Life Magazine rescued from an attic that features cigarette ads with quotes from doctors saying that they’re good for your throat. Having said all this, though, one thing that these two Chinese people did say was that they thought media exposure and public education would eventually pressure the government to create and actually enforce air pollution regulations. That seems to be the way it works in the US, too. Air pollution index or rather Air Quality Index at 10am today, Sunday, 403. Great pic, Ian. Good to know what 250vs 400+ looks like…. Ouch. US Consulate readings back and they’re at 42. The lowest since, well, forever.